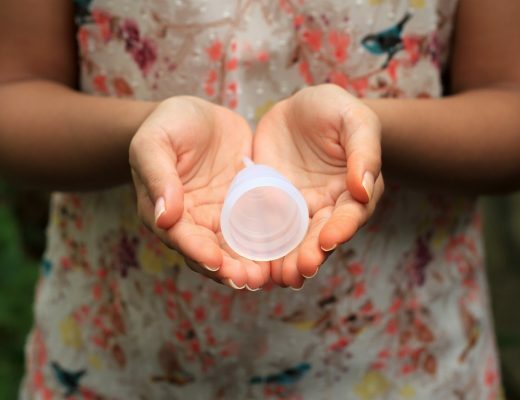 The term “Zero Waste” is no longer a stranger to all of us. Over the years, leading a zero waste life has been advocated by numerous environmentally conscious individuals worldwide. But how exactly do you achieve it? 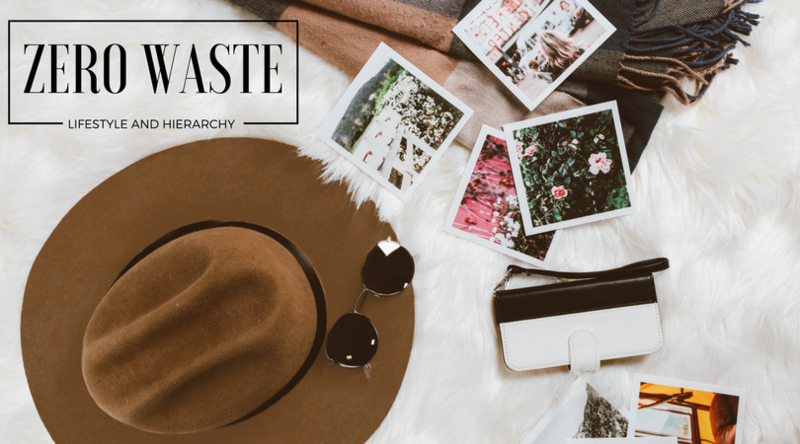 Here are some facts about the zero waste hierarchy and tips on how each level is practiced! 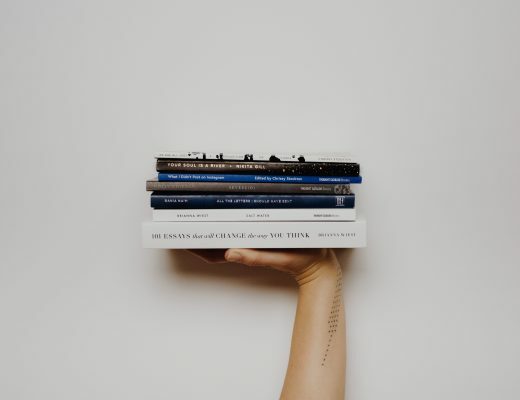 The zero waste hierarchy is defined as the “progression of policies and strategies to support the Zero Waste system, from highest and best to lowest use of materials”. The 5 levels are: Reduce (Most preferred), Reuse, Recycle, Recover and Landfill (Least preferred). Reducing our waste might be one of the most difficult steps in the hierarchy. As such, small steps have to be taken to practice this in our daily lives. To reduce your waste, a key question to ask yourself before purchasing an item would be “Is this a need or a want?”. Most of the time, the item that we wish to purchase is more likely to be a want than a need. Other questions that can be taken into consideration could be: How long do you foresee yourself using the item? Will it truly add value in your life? Are there any other alternative eco products? 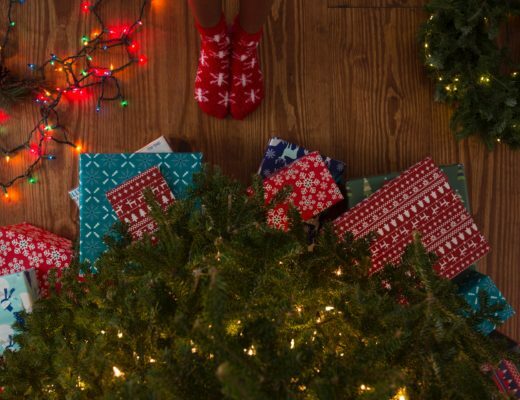 Just by avoiding the act of impulse buying, you can help to prevent the wastage of resources and at the same time, save your money! The important notion of “waste nothing, use everything” can aid in the habit of reusing. Most of us disregard the power and ease of reusing as we fail to see that almost everything and anything can be reused! For example, pasta sauce that comes in a glass bottle can be reused to store your snacks (after cleaning it properly first). Next time, before throwing something away, take a moment to reconsider if the item can be reused for any other purposes! Recycling is definitely not a stranger to anyone. Recycling bins can be found in almost in every city and country. So, nothing should be stopping you from recycling! For some of us, recovery of energy from waste is a novel concept as it is not a widespread practice. In some countries, they have facilities that convert their waste to energy which contributes significantly to the concept of recovery. For example, Norwegians residents are encouraged to sort their waste into various categories (organic, plastic and others). From there, the organic waste is then transformed into biogas which can be used as bio fuel for buses in Oslo. Although recovery might be difficult without the help of the government or large corporations, we can contribute individually by repairing our items instead of throwing them out! The last level – landfill, is probably the option in the hierarchy that is viewed as the last choice. Unless you really cannot practice the 4 levels of the hierarchy aforementioned, then it will end up in the landfill. 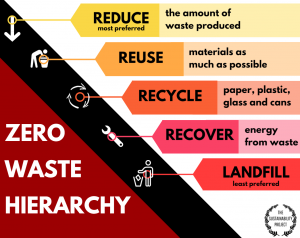 For more information about the zero waste hierarchy, click here!